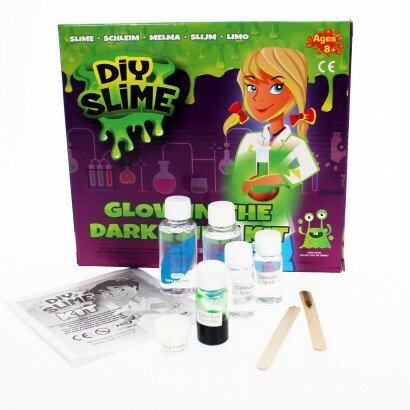 Engage your scientific side and mix together the ingredients in this DIY slime kit to create your own gloriously gloopy slime that glows in the dark! 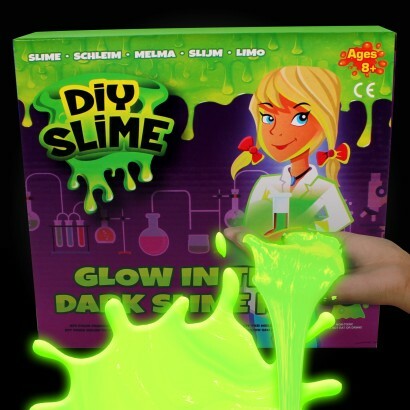 Easy to follow, let the instructions guide you as you develop your own oozing slime that glows brightly in the dark! 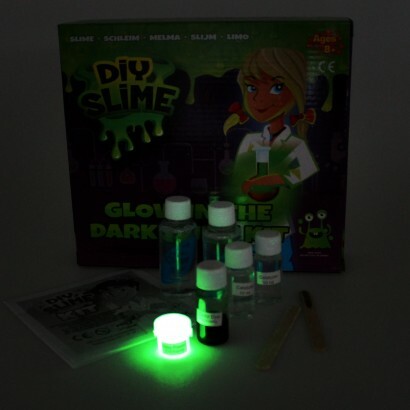 Once you've created your slime, expose it to light before viewing in pitch black conditions for incredible glow effects!